Testing out the Wirecast Go app. What are your thoughts? 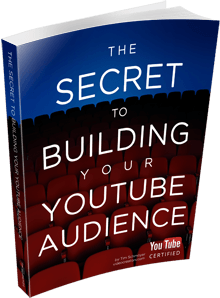 Twenty YouTube creators just finished going through the Video Labs course with me and they'll join us here LIVE to share their best YouTube tips and ideas that will help you reach your goals for your channel. There's a lot of good comments and questions on today's video! Let's talk through some of them here together instead of waiting a few weeks for me to do few Q&A videos about it. Two full-time YouTuber creators discuss how they manage their time while growing their channels as a business. There's 3 foundations every YouTube creators needs to set in order to achieve their goals on YouTube. There are 3 fundamental steps that every creator, regardless of their goals, needs to implement on their channel before they can really start accomplishing those goals. I've broken it down into steps to make it easy to do. There's a lot of frustrations surrounding Google+ and YouTube. We attempt to answer as many questions as possible.